Joachim Höchbauer acquired his basic musical education in his hometown of Regensburg as a member of the Regensburger Domspatzen (Regensburg Cathedral Choir). He first completed his studies in musical pedagogy at the Hochschule für Musik und Theater München (University for Music and Performing Arts, Munich), where he was inspired initially by pianist Helmut Deutsch and musicologist Siegfried Mauser. This was followed by postgraduate studies in vocal accompaniment under Prof. Glauß at the Musikhochschule Köln (Cologne University of Music), which he successfully completed in October 2004 by passing the vocal accompaniment examinations. In July 2006, he completed his diploma majoring in Singing, also at the Musikhochschule Köln, under Professor Mechthild Georg. 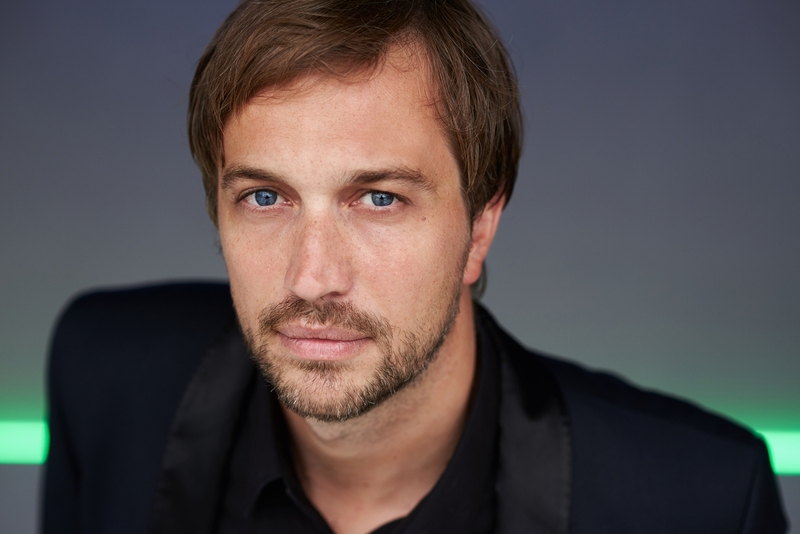 Joachim Höchbauer has gained valuable artistic inspiration in master classes under Prof. Konrad Jarnot and Prof. Wolfram Rieger, among others. Herreweghe for many years, Joachim Höchbauer is performing increasingly often as a soloist. His solo performances have taken him to Essen Philharmonic, the Ruhrfestspielhaus Recklinghausen, Musiktheater Gelsenkirchen and Konzerthaus Berlin, as well as to Norway, Italy and the USA. In addition, he regularly performs at the Lake Constance Festival and has already been heard in a recital in Carthage, Tunisia. He has given concerts with Nuremberg Symphony Orchestra, New Philharmonic Orchestra Westphalia, Bergisch Symphony Orchestra and various baroque orchestras such as Rhenish Baroque Orchestra, Capella Augustina (palace concert with Andreas Spering in Brühl), Concerto Brandenburg, Cologne Academy, Collegium Cartusianum (Peter Neumann) and Cologne Baroque Orchestra, among others. Following productions of Siegfried Wagner’s “Der Kobold” (The Goblin) and “Der Heidenkönig” (The Heathen King) at the Stadttheater Fürth, in spring 2007 Joachim Höchbauer gave a guest performance as Chelsias in Handel’s “Susanna” at Stadttheater Koblenz. He has also collaborated on numerous CD recordings. In August 2008, he performed in concerts at the Young Euro Classic Festival in Beijing and Shanghai, and, in September 2008, he dedicated himself to contemporary music at the Mittersill Composers’ Forum (Austria) as part of the duo “Parkdeck”. 2009 saw performances at the Rheingau Music Festival, the Early Music Festival Stockholm and the Tyrol Festival in Erl, as well as performances in Copenhagen and Israel. This year, Joachim Höchbauer can be seen in Düsseldorfer Schauspielhaus in the play “Shoot/Get Treasure/Repeat” (Mark Ravenhill) with music by Monteverdi. He will be performing as “narrator” in the “Zauberflöte” (The Magic Flute) at the “Kulturwald” music festival in 2011.